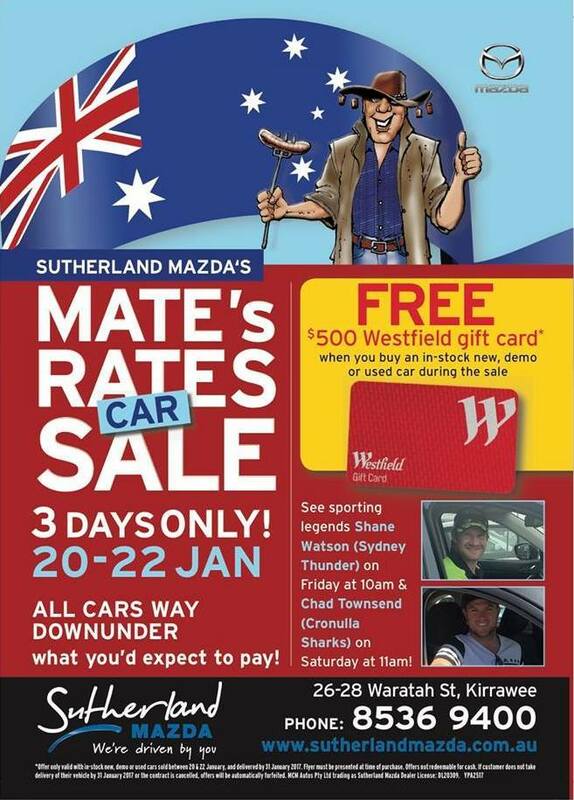 Sutherland Mazda is excited to offer fantastic end of year savings and bonuses across the Mazda range for its Mates Rates Sale. It’s on from 20 – 22 January. There are fantastic savings and offers across the Mazda range – plus a $500 Westfield gift card for any in-stock new or used car sold during the sale. Whether you are looking at buying your first car or looking at upgrading your family car, you cannot afford to miss out on these three days of fantastic value.